Absent congressional intervention, the across-the-board cuts — collectively called sequestration — will slash some $1.2 trillion off the top of federal spending starting on January 2, 2013. Although the reductions will be spread over nine years and be split evenly between defense and domestic spending, they would still result in the loss of about $55 billion each for defense and for civil programs in 2013. The cuts were part of a deal hatched last fall to convince Congress to vote to raise the nation’s debt ceiling and avoid a devastating national default. As part of the agreement a “super committee” was created to find $1.5 trillion in additional cuts. Sequestration, which has the programmatic finesse of a massive lawn mower, was put in place to ensure that a deal took place. It was viewed as so draconian that it would surely scare the committee members into finally finding a workable compromise. But the gun-to-the-head move didn’t work. The super committee failed to reach agreement on the $1.5 trillion target and, unless Congress does something quickly, the sequestration plan will go into effect. The Bipartisan Policy Committee (BPC) estimated in a report released in June that the “abrupt and arbitrary nature” of the across-the-board cuts could reduce U.S. gross domestic product by half a percentage point in 2013 and cost more than one million jobs over two years. Defense activities, the Washington think tank said, will take an “indiscriminate 15 percent cut at the program, project and activity level . . . and not a 10 percent cut as often assumed.” Entire programs could be eliminated, and unit costs — that is, the cost per armored vehicle or fighter jet — could spiral upwards as remaining acquisitions are stretched out to fit the government’s reduced circumstances. The level of financial strain will be so great that all programs are likely to be affected — even programs like GPS which has, up to now, been relatively well insulated. Not all of the funding for the GPS program comes from the Defense Department. Some monies for civil capabilities, such as the L2, L5, and L1C civil signals, are allocated through the Department of Transportation (DoT) — specifically via the Federal Aviation Administration (FAA). The funding split was set up this way to give both sides a financial stake in the GPS program and the leverage that comes with writing the checks. Under sequestration, however, what this funding construct means is that the GPS program could find itself suffering cuts from both sides. In response, the FAA could end up scaling back services dramatically. For example, it might be forced to close air traffic towers in smaller communities, said Scott Lilly, a fellow at the Center for American Progress in a Bloomberg report. Given the pressures on both the DoD and the FAA, it is hard to see how funding for the GPS program, much less GPS modernization, will continue at the same level. 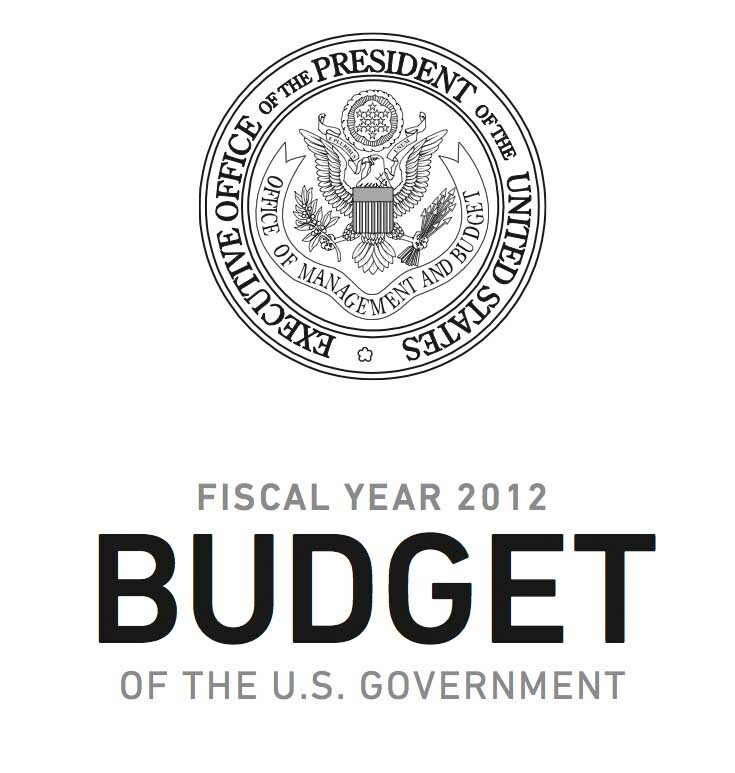 In fact, under sequestration, cuts could even affect monies that have already been paid into the program in past years. Under sequestration, such pockets of unobligated DoD money will be almost certainly vacuumed up — regardless of what the funds are intended for or where they came from. “Wherever the money originated, if the budgetary resources are in a DoD account when the sequestration ‘snapshot’ is taken, it would be cut,” explained Rich Efford, assistant vice-president of the Aerospace Industries Association, via email. Efford said some latitude may exist, however, and AIA has asked the Office of Management and Budget (OMB) to clarify how unobligated funds will be handled. “The Budget Control Act gives OMB more authority to make those decisions than was the case in past sequesters,” Efford explained. Should unobligated funds be included in the cuts, it “would likely result in a larger cut in defense acquisition programs, above and beyond the required across-the-board reduction to the Fiscal Year 2013 base budget,” AIA wrote in a June 27 letter to OMB’s Acting Director Jeffrey Zients. The industry organization also wanted to know how requests for proposals would be handled prior to sequestration and how deep into programs the mandated cuts would reach. If the reductions reach down to the program level, it 21affords departments like the Air Force far less control over what gets cuts and what doesn’t. Congress has managed to check one major task off its “To-Do” list. The Republican-controlled House and Democrat-controlled Senate finally agreed on a highway bill. No doubt inspired by the imminent cancellation of highway projects across the country (and the prospect of thousands of voters with pink slips in their hands as they head to the polls), Congress passed the Moving Ahead for Progress in the 21st Century Act or MAP-21 on June 29. The bill was signed by President Obama on July 6. MAP-21 supersedes some half a dozen previous versions and authorizes the spending of monies from the Highway Trust Fund for two years. Specifically it authorizes $37.5 billion in fiscal year 2013 and $37.8 billion in fiscal year 2014 for highways, plus $750 billion in FY13 and $1 trillion in FY14 for transportation infrastructure. Authorizes is the right word. Though most federal spending is controlled via appropriations, and the authorizing function is sometimes secondary, that is not the case with the trust fund. Because the fund contains dedicated money, it is considered appropriated at the outset. The real power to determine who gets what, therefore, lies in the hands of those crafting the authorization bill. The bill restored Senate-proposed cuts to the Department of Transportation’s Connected Vehicle program, which is working to develop GPS-enabled crash avoidance technology for vehicles. The technology uses WiFi-like radio transmitter/receivers to enable vehicles to share information, including location, speed, acceleration, and steering angle, with other nearby vehicles roughly 10 times every second. The information is processed and used to alert drivers to dangers such as an oncoming vehicle hidden by bushes. The GPS-based devices, which can be built in at the factory or added after the vehicle is purchased, could prevent up to 82 percent of the crashes between vehicles with unimpaired drivers, according to DoT’s Research and Innovative Technology Administration (RITA), which is developing the different elements of the system. With the funding back in place, it appears RITA should be able to complete a yearlong pilot project set to begin in Ann Arbor, Michigan, in August. The pilot will incorporate a mix of cars and infrastructure to also test the technology’s usefulness in warning drivers about things such as whether they can safely make it through a traffic light. Unfortunately not all civil GPS programs did as well as the crash avoidance program. In fact, nearly every civil GPS program is facing budgetary reductions — although the cuts are not final and could be restored. As noted earlier both the House and Senate downsized the civil contribution to the GPS program, citing a backlog of unobligated funds. The White House had asked for $40.0 million for fiscal year 2013 — a request that was already $15 million less than what was anticipated in the funding profile still in place just a year and a half ago. The House slashed the FY13 budget to $15 million and the Senate approved just $19 million. A final number will be negotiated by budget conferees later this summer. At this time, the effect of the cuts is unclear. Neither the Air Force nor the FAA responded by press time to questions about what the unobligated funds are for and why they remain unspent. As noted, this is the second year in a row that Congress has hollowed out civil GPS funding. The request for $50.3 million for fiscal year 2012, which will end September 30, was reduced to just $19 million. The Senate offered no explanation, but at the time the House appropriators cited “a significant unobligated balance in this program” at the Department of Defense. The Nationwide Differential GPS (NDGPS) appears poised to receive its full request of $5.6 million, though the House trimmed the program’s parent account slightly. For its part the Senate removed $11.5 million from the $30.5 million requested for the FAA’s Facilities & Equipment Budget Item 1A12, “NextGen: Flexible Terminals and Airports.” This is the parent account for the Ground Based Augmentation Systems (GBAS) and for Alternative Positioning, Navigation, and Timing (APNT). GBAS provides GPS augmentation around airports to enable precision approaches while APNT is an effort to create an aviation-focused backup system to provide service should GPS become unavailable. The House funded the full amount of $3 million for GBAS and $4 million for APNT. If the Senate’s 1A12 reductions are accepted by budget conferees, the consequences for these FAA programs are currently uncertain. The FY13 budget for the National Coordination Office Space-Based Positioning, Navigation and Timing is expected to be about the same as it was for FY12 — some $750,000, according to Russo. What is not included is a contingency fund for working on receiver standards or handling unexpected developments — such as the wireless broadband plan proposed by LightSquared that triggered extensive inter¬ference tests in 2011. "If we need to do extra studies, tests, or analysis — that would have to be on top of that [$750,000],” Russo told Inside GNSS. Russo’s office, however, has a more immediate funding challenge. Despite the fact that fiscal year 2012 is nearly over, not all of the money needed to run the NCO has been transferred to its account. The FAA did not respond by press time to a query from Inside GNSS about the status of the coordination office funds. Congress has very little time to decide how to address sequestration and finish their FY13 budget bills. When the House and Senate get back from their month-long August recess, they will be facing a very long list of other critical, complicated decisions. Members must decide whether to extend unemployment insurance, the Bush-era tax cuts, aid to needy families, a patch for the alternative minimum tax, the fix devised for Medicare reimbursement rates for doctors, and the estate tax rate now scheduled to automatically increase. If that is not enough, projections suggest that another vote will be needed to raise the debt ceiling before the end of the year. Yes, the same issue that got the U.S. credit rating downgraded for the first time in history and led to creation of the sequester plan will be on the table again — and House Speaker John Boehner (R-OH) has already promised a fight if extensive budget cuts are not part of the deal. A June Gallup poll indicated that 79 percent disapprove of the way Congress is doing its job. One can only wonder what their rating will be come January if the sequestration goes into effect.